Case Study: Naval Air Station, Barbers Point (Wells, 1996). Review the excerpted passages from: Case Study: Naval Air Station, Barbers Point (Wells, 1996, pg. 99-108). The Naval Air Station Barbers Point (NASBP) has been placed on the Base Realignment and Closure (BRAC) list. The senior leadership of the command undertook strategic planning to help its people deal with BRAC-related issues. They needed to include closure in their mission, reducing their size and transitioning much of their remaining activity to Marine Corps Base Hawaii at Kaneohe Bay. Their goals and objectives reflect their desire to become a model for maintaining the quality and continuity of their service to the operating forces and supporting and improving the quality of life for their personnel while transitioning to closure. In a 3-day offsite in December 1994, the senior leadership of NASBP developed its mission, vision, guiding principles, and broad goal areas using the DON strategic planning model and guided by a strategic planning facilitation team from the TQL Training Team Pacific. The participants, numbering about 20, were the department heads and special assistants all people with a stake in operating and, ultimately, closing the base. “The 3-day offsite really got us together as a team and focused our common efforts on what was significant for our organization transitioning to closure.” Following the initial strategic planning offsite, the Base Transition Steering Committee (BTSC) was formed as an Executive Steering Committee to oversee completion and implementation of the plan. The chiefs reviewed, validated, and augmented the strategic plan. The chiefs’ buy-in to the plan was obtained. The chiefs contributed a work-oriented perspective to the plan. The session resulted in team-building within the mid-level management group. The chiefs were exposed to TQL processes. Department heads will hold formal briefings on the plan for their people. The plan will be covered in the command’s General Military Training sessions. The Public Affairs Office communication plan will be implemented to disseminate information to station personnel, residents, the chain-of-command, and the community using face-to-face presentations and print and electronic media. The completed strategic plan is being shared with the base that NASBP is transitioning to at Kaneohe Bay. A combined relocation team has been established at the senior leadership level. It will meet every week to work through the base closure and transition process. NASBP senior leadership sat in on the Marine Corps strategic planning sessions and is working to coordinate the NASBP plan with the Marine Corps plan. A BRAC Office was opened to get started on the new mission of closing the base. Strategies were implemented to reduce the impact on the civilian workforce of tailoring the infrastructure. For example, the new partnership with the local supply center made it possible to eliminate 18 (almost a third) of the civilian positions in the supply department. The workers were placed in other jobs made available by attrition or offered early retirement with a bonus. Without having the strategic plan fully implemented, work on the goals has stayed mostly at the department head level. “Each individual member of the BTSC was expected to talk to the various people in his or her area of responsibility and, in the interim, work toward the basic goals. The strategic plan directs the chartering of QMBs for initiating and monitoring implementation in the areas of personnel and readiness, base realignment and closure, and quality of life. Membership is currently being defined and identified. Significant accomplishments and the major items being worked on are briefed to the BTSC quarterly. The BTSC periodically reviews the POA&Ms and discusses modifications. The BTSC periodically reviews accomplishments. While they are not specifically tying metrics to the plan, they see results. Each focus group will brief the five items most needing improvement in their topic area to the Commander of the Naval Base and the installation commanders. Issues that are Navy-wide will get forwarded to the Chief of Naval Operation’s Quality of Life Panel, but most are expected to be installation-specific. “The key to success is the linkage between the strategic plan and the existing processes, not having two different organizations, or two ways of managing things, but linking them. For instance, the facilities and environment QMB is linked to the Facilities Planning Board. It’s an existing process that is tailored to accomplish the goals of the plan. If you don’t have that linkage, you may not get buy-in. Evaluate the impact of change processes on stakeholders. Analyze if the change processes by the Naval Air Station at Barbers Point were well communicated and did the leadership create effective buy-in strategies for stakeholders? As stakeholders are transitioned to other facilities, determine if leadership prepared them as contributors to business and performance excellence at their next duty station or organization? Body of the essay (Your researched response). 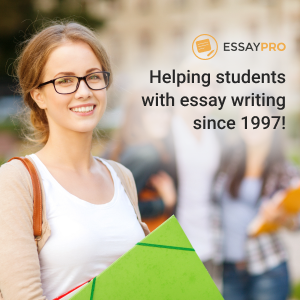 Write a response between 750 – 1000 words for the body of the essay (The title page, abstract, conclusion and References section are not counted toward the word requirement.) (approximately 4-6¬ pages) using Microsoft Word in APA style. Address all three elements fully. Use at least three references from outside the course material (You may use the academic resources included in the Week 8 Bibliography.) one reference must be from EBSCOhost. The course textbook and lectures can be used, but are not counted toward the five reference requirement. References must come from sources such as, academic and scholarly journals and essays found in EBSCOhost, CNN, online newspapers such as, The Wall Street Journal, government websites, etc. Sources such as, Wikis, Yahoo Answers, eHow, blogs, etc. are not acceptable for academic writing. Cite all reference material (data, dates, graphs, quotes, paraphrased words, values, etc.) in the paper and list on a reference page in APA style. Provide citations everywhere information from the sources is used for foundational support and for validation of opinions. Use the third person narrative and avoid the use of the first and second person narrative and terms such as; I, me, myself, you, your, yourself, we or us (or related form such as let’s (let us) or we’ll, we’ve (we will / we have) among others). This will prevent the author or other parties from becoming the subject matter and will maintain the focus of the paper on the central theme and subject matter found in the elements. Be informational and avoid being conversational. A detailed explanation of how to cite a source using APA can be found here (https://owl.english.purdue.edu/owl/resource/560/01/).